Boasting jungle topped landscapes, golden sand shores and a vibrant cultural history, Bali is a spectacular tropical island unlike anywhere else in the world. Striking the perfect balance between adventure and relaxation, Bali offers holidaymakers the choice to explore the great outdoors and completely unwind to the rhythm of 'island time'. Whether you're seeking a stunning romantic escape or family friendly adventure, Bali offers visitors a truly unforgettable vacation. Beyond the incredible natural beauty, it's the superior standard of accommodation that makes Bali the definitive island holiday. Luxury resorts sit beside sun-kissed beaches and verdant rain forests, private villas provide intimate secluded hideaways and family friendly hotels offer an abundance of fun and entertainment for all. 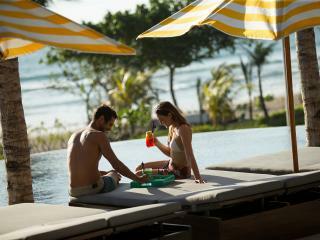 Bali holiday packages are the ideal way to make the most of your tropical holiday. Bundle together travel essentials like flights accommodation and travel insurance, together with transfers, exciting tours and attractions to save yourself time, money and stress. Leave it to our expert team of Travel Specialists to curate an unparalleled holiday package tailored to your travel needs and create an unforgettable holiday experience. Curated to meet the style and expectations of every kind of traveller, TravelOnline's exclusive holiday packages have been expertly tailored to ensure you get the most from your time and money. Thanks to our unique supplier relationships, many of the deals at TravelOnline cannot be found elsewhere. As a result, we're able to offer huge savings across our flights and accommodation packages along with travel essentials like tours, insurance, attractions and meals. 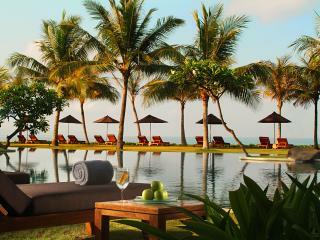 We also often offer bonus inclusions like free nights accommodation, resort credit and complimentary massages. Whether you book one of our existing holiday packages or work with one of our Travel Specialists to curate a unique deal that works for you, you'll be realising the savings in no time!